David A. Cooper, 70, of Decatur, IN, passed away on Monday, November 12, 2018, at his residence. He was born on November 12, 1948, in Toledo, Oregon, the son of the late Charles E. and Pearl (Fletcher) Cooper. On July 15, 1991, he married Nanette E. Case. Dave and Nan lived in Oregon and Alaska for 30 years before returning to Nan’s native Decatur several years ago. He worked as a carpenter for the Union and was also a foreman for Fleetwood Homes in Oregon. Dave also was a Fishing Guide in Oregon and then in Alaska. He had a Bachelor’s Degree in Geology and loved nature and being outdoors; he especially enjoyed fishing, hunting, and trapping. 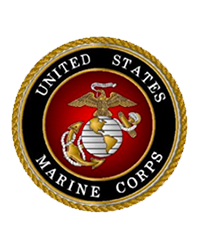 He served his country in the United States Marine Corps, where saw combat and attained the rank of Sergeant during his tour in Vietnam. He was decorated for his service with, most notably the Navy Commendation Medal with Combat "V" and the Republic of Vietnam Meritorious Unit Citation, Gallantry Cross with Palm. Dave was a member of the American Legion Post 18 in Ninilchik, Alaska. He is survived by his wife of 27 years, Nan Cooper of Decatur; his son, Brett (Megan) Cooper of Hillsboro, OR; 3 sisters, Ethel (Randy) Gauper of Rockaway, OR, Nancy (Bill) Haass of TX, and Hazel of Newport, OR; 3 grandchildren, Alexis, Jaxson, and Xander; 2 brothers-in-law, Tony (Ginny) Case of Monroe and Tim (Sandy) Case of Angola; 4 sisters-in-law, Cindy (Steve) Goyak of Anderson, Laura (Larry) Arnold of Deland, FL, Susan (Ben Habel) Case and Krista (Brian) Hackman both of Decatur; numerous nieces and nephews. He was preceded in death by 2 brothers and 3 sisters. Military Honors will be conducted by the American Legion Post 43 Color Guard at 3:30 p.m. on Tuesday, November 20, 2018 at Haggard-Sefton-Hirschy & Zelt Funeral Home, immediately followed by memorial visitation from 4:00 – 6:00 p.m.
Memorials may be made to St. Joseph Catholic School Tuition Assistance.